Rosary will be recited at 7:30 PM. Burial with follow with military honors provided by Otsego VFW Post 3030 at Mt. Olivet Cemetery. A luncheon will follow the burial at Fr. Bart Hall. With a journey that spanned times of war and times of peace, times of plenty and times of want, Jerry Flach lived a life of purpose while holding his loved ones near. He was known for his strong work ethic that accompanied him throughout his entire life, and he always gave everything his all. 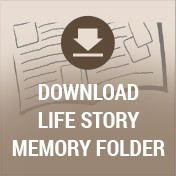 An outdoor lover, Jerry maintained an active lifestyle until his last days. A longtime resident of his community, he was the sort of person everyone knew and loved. Life will never be the same without Jerry here, but he leaves behind a priceless collection of memories that his loved ones will forever hold near and dear to their hearts.  Life in America during the 1930s was primarily defined by the Great Depression. Jobs were scarce, which drove the unemployment rate to over 25 percent, and a drought only made things worse. There were glimmers of hope, however, as we celebrated the completion of the Empire State Building and came together as a nation for the first ever Macy’s Thanksgiving Day Parade. 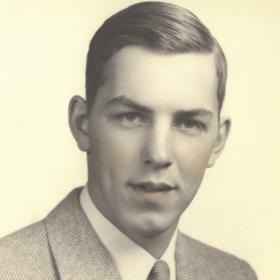 It was just as this decade was dawning that Clarence and Anne (Filey) Flach were pleased to announce the birth of the baby boy they named Gerald Howard on January 12, 1930, in Kalamazoo, Michigan. He was the second of six children as he was joined in his family by his siblings, LaVern, Helen, Marian, Marcelline and Donald. In many ways Jerry was a young boy of his generation. His father was a farmer in the Scotts area and was also on the school board while his mother was a nurse and then a homemaker. 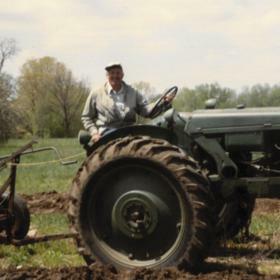 Being raised on the family farm meant that Jerry learned the value of hard work at a young age. He also attended local schools including St. Augustine High School where he played football. After graduating from high school in 1949 Jerry went on to serve his country in the United States Army after being drafted, becoming a veteran of the Korean Conflict. He was on active duty from January 5, 1951, through December 19, 1952, working on testing the atomic bomb in Nevada. With his military duties fulfilled, Jerry returned home. He spent a few years working at Shakespeare before settling in at American Tool. He left American Tool and for the next 20 years Jerry was co-owner of Kalamazoo Tool Co. The final years of his career were spent at Micro-machine until he retired. Not to be forgotten during Jerry’s years as a young man was his introduction to the woman of his dreams. Her name was Dorothy Raith, and they met at a St. Augustine dance. Despite the fact that she was six years younger, sparks flew right from the start and they soon found themselves deeply in love. 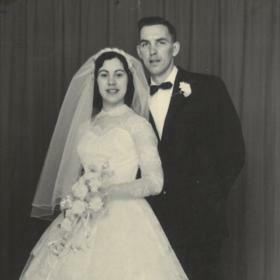 With a desire to spend the rest of their lives together, Jerry and Dorothy were married on June 29, 1957, at St. Augustine. The newlyweds then went to Mackinac Island for their honeymoon as the bridge had just been built. They also made a stop at Niagara Falls. Together they welcomed six children including Robert, Dennis, David, John, Steve and Mary into their hearts and home. Jerry was an active part of his children’s lives and loved having fun with them after he was done with a hard day at work. He made amazing memories with his kids doing things like water skiing and ice skating. He also enjoyed bowling and hunting as he passed his love for the outdoors to his children. Jerry and Dorothy liked square dancing, polka dancing, and camping. 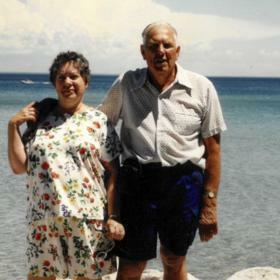 Camping in Ludington was a longstanding large family tradition that spanned 50 years. Throughout his life Jerry was always busy. He was a typical outdoorsman who was always puttering around doing something. Jerry was also very handy. Over the years he was an avid hunter who hunted up in the UP every year. Jerry was also a trapper and loved fishing, gardening, camping, boating, and riding his four-wheeler every day. He chopped wood to heat his home, and he just plain loved doing anything outside. For years he took fishing trips up North with the boys where they spent hours telling stories in addition to fishing. Until his last days he kept going and going as he was out there snowmobiling and ice fishing among other favorite activities. When he did slow down, Jerry enjoyed watching Gunsmoke as well as the Detroit Lions, Notre Dame Football, and the Tigers. For years both he and his wife were very involved at their church, St. Mary’s, and he also read the newspaper every day. When reflecting on the life of Jerry Flach, it is easy to see that he lived to love and care for others. He was generous, even selfless, as even in his last days he was more concerned about loving and supporting his wife than he was about worrying about himself. Jerry was an amazing storyteller who also loved telling jokes, and he loved reminiscing about days gone by. Well loved by all who knew him, he was truly extraordinary. Jerry will never be forgotten. 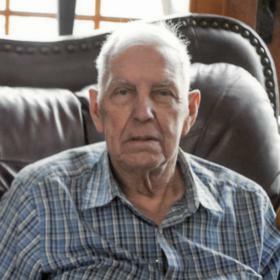 Gerald Howard Flach, of Scotts, died January 7, 2019, at Borgess Hospital, Kalamazoo surrounded by his family. Jerry's family includes his wife, Dorothy Flach; 5 children: Robert (Dawn) Flach, Dennis (Donna) Flach, David Flach, John (Pam) Flach and Steve (Susan) Flach; 10 grandchildren; 11 great-grandchildren; 3 siblings: Helen (Lawrence) Fleck, Marian (Marvin) Woodin; and Donald Flach; brother-in-law, Bruce Fleck and many nieces and nephews. Jerry was preceded in death by his daughter, Mary Flach; 2 siblings: Marcelline Fleck and Fr. LaVern Flach, O.S.A. Visit with family and friends on Wednesday from 4-8 p.m. at the Betzler Life Story Funeral Home, 6080 Stadium Dr. Kalamazoo (269) 375-2900 where a rosary will be recited at 7:30 p.m. Mass of Christian Burial will be celebrated Thursday 10:30 a.m. at St. Mary's Catholic Church. Burial with military honors at Mt. Olivet Cemetery. A luncheon will follow the burial at Fr. Bart Hall. Please visit Jerry’s personal web page at www.BetzlerFuneralHome.com, where you can archive a favorite memory or photo and sign his online guestbook before coming to the funeral home. In lieu of flowers, memorial contributions may be made to: St. Mary's Catholic Church or Midwest Augustinians c/o Province of Our Mother of Good Counsel.